Hardwood flooring has a long history, one that is said to date back to the 1600s. Like many home trends, it has gone in and out of style depending on interior design trends, the introduction of competing floor surfaces, and homeowner preferences. Today, hardwood flooring and hardwood look-alike products are on top once again. 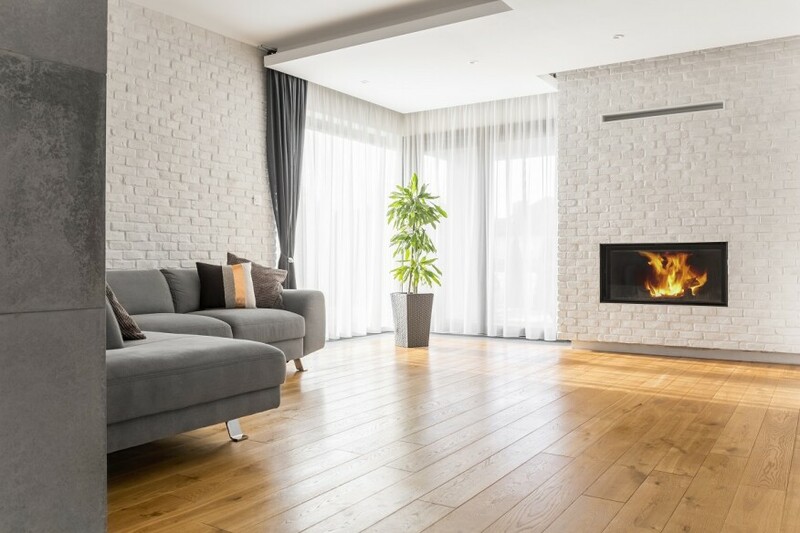 When homeowners were asked what kind of flooring they would choose for their dream home, 66% said hardwood floors, according to a recent survey conducted by the National Wood Flooring Association (NWFA). Sixty-eight percent of owners said wood flooring is attractive, compared to 46% of the next flooring type, tile. Besides its attractiveness, the survey concludes wood flooring also adds value to a home (66%), is hypoallergenic (34%), and is environmentally responsible (24%). To nail down flooring’s most influential attributes, the NWFA survey also asked owners to rank eight product factors they consider when choosing a flooring material. It found that homeowners value durability (67%), attractiveness (61%), and easy-to-clean (58%) as the top three most important features. In the past, higher prices for hardwood have steered homeowners and builders toward alternatives like carpet, laminate, and vinyl, but in recent years manufacturers have developed more solid and engineered products and processes that offer a more broad range of price points.